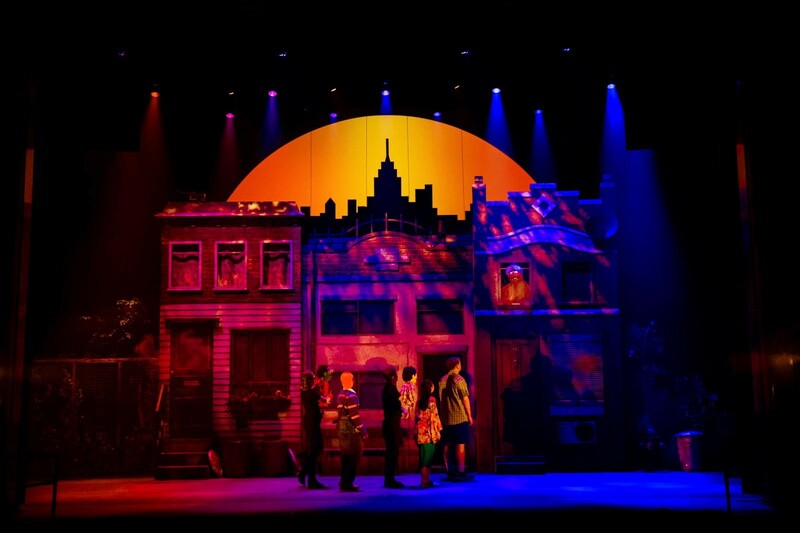 White Light has supplied the lighting equipment on the Tony Award-winning musical Avenue Q which is currently embarking on a UK Tour. 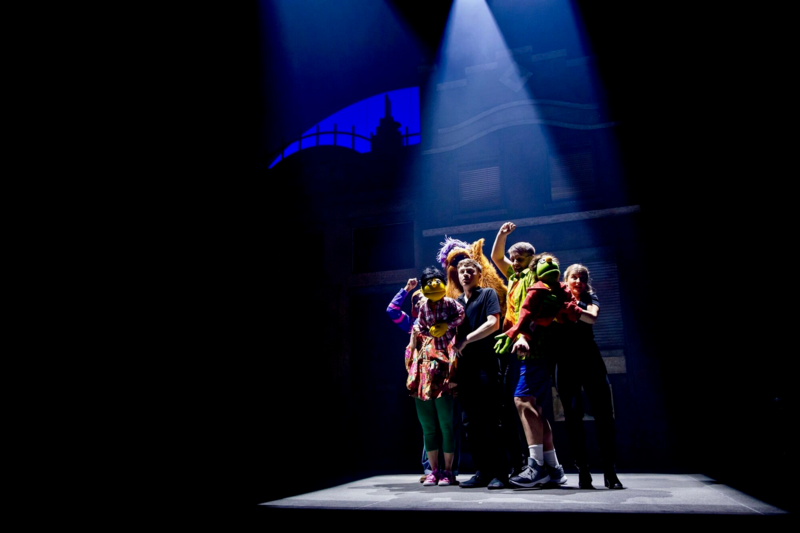 Avenue Q is a laugh-out-loud musical featuring puppets who tell the story of recent college graduate Princeton who moves into a shabby New York apartment on Avenue Q. Here, he meets a range of colourful characters who help him discover his true purpose in life. 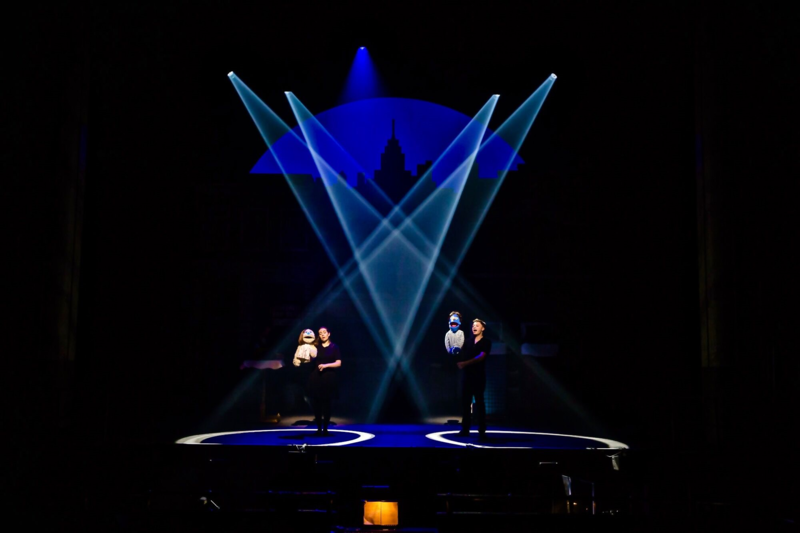 The production is produced by Selladoor Worldwide and features a lighting design by Charlie Morgan Jones. Charlie comments: “This is the fifth time I’ve lit the show, having worked on previous UK tours and even a Hong Kong run. Whereas this time the show remains just as hilarious, we have in fact completely revamped the lighting rig”. Prior to the show, Charlie sat down with Director Cressida Carre and Set Designer Richard Evans to talk about the look and feel of the show. Charlie comments: “Our brief was quite simple – it had to be bright, colourful and comic. Although the production has evolved over the last four years, we have kept the same ethos throughout – which is to provide every audience member with a side-splitting experience”. Part of this evolution includes the lighting rig itself, which has undergone a large revamp with this latest version of the show. Charlie explains: “Technology has moved forward a lot in the past few years and I wanted this to be reflected in the design. Now, for the first time, we have an entirely LED rig overhead”. For his ideal rig, Charlie approached WL and worked closely with Business Development Manager Jonathan Haynes and Senior Account Handler Dan Last. He comments: “We replaced the fresnels that we previously had with brand-new ETC Lustr 2s. These are used for the set dressing at front of house and backlighting for the whole stage. They also give us far more options than a standard fresnel would. For instance, in the song ‘If You Were Gay’, where we had only two colours before, we are now able to use every colour from the pride rainbow flag. Similarly, as the day gets longer, we’re able to move through the entire colours of the day, from sunrise to sunset and everything in between; with these fixtures giving us the scope to do that”. Charlie has also drawn heavily on the Vari*Lite 2600s which are a new fixture that WL recently invested in and were used for the first time on Charlie’s previous show, Andrew Lloyd Webber’s Unmasked at The Other Palace. Charlie comments: “When I used the 2600s, I was simply blown away by them. They are a fantastic fixture that really allow me to achieve the crisp brightness and colour I’m constantly striving for. Once I’d used them for the first time, I literally redrew the lighting plans for Avenue Q to include them in the rig!”. Whilst Charlie has drawn on a range of new fixtures, the show still relies heavily on followspotting; something he had to incorporate during his design and the tech period. He comments: “The set design is nothing short of beautiful but it is only four meters up stage so is very present! However, there are times in the show when you want to lose the street setting and focus solely on the puppets. Therefore, I had to combat this through some very intricate positioning. The lighting also controls the automation of the set doors on this version so I’ve had to ensure all the different elements work in unison! He adds: “I am absolutely delighted with the rig we’ve put together for Avenue Q and know this will look the best it’s ever been. Fortunately, for all my recent shows I’ve had a brilliant team with me every step of the way, which includes Programmer Paul Walmsley, Production Electricians Toby Cartmell and Chris Gunnell, Chief LX Jack Ramplin, LX2 Dan Chalk and the original Avenue Q Associate LD George Smith”. The show marks an extremely busy few weeks for Charlie, who in the past two months has also worked on Andrew Lloyd Webber’s Unmasked (The Other Palace Theatre) and The Lady Vanishes (UK Tour). He is also preparing for his latest tour, The Shy Manifesto. For all of these productions, WL has supplied the lighting equipment. Charlie concludes: “I am extremely grateful with the brilliant service I have received once again from WL on all four shows I’ve recently lit. Nothing is ever too much and they are always on the end of the phone, eager to help in any situation. I look forward to continue working with them throughout the year”. Photos courtesy of Matt Martin.